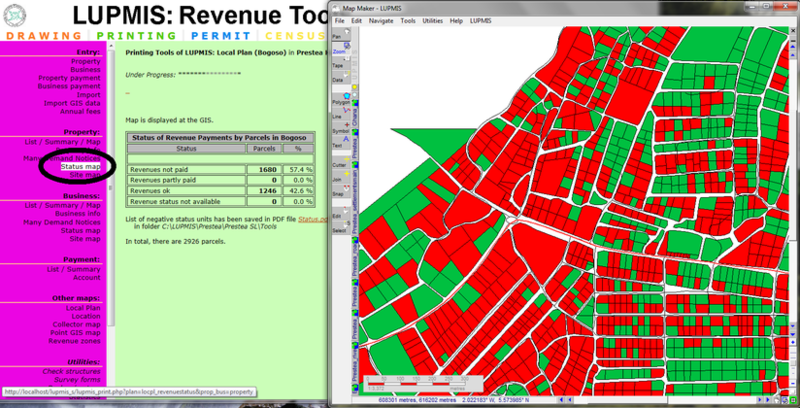 Red parcels show that revenues have to be paid. 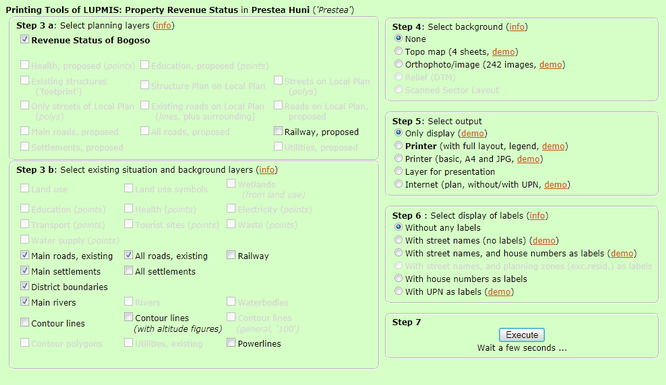 Green parcels show 'ok' status, because either there is no property / business on this parcel, or revenues have been fully paid. If a map is gray and can't be selected, it means the map is not available in the system.